Millions of people across the world enjoy bagels as a breakfast treat or an after-school snack, but very few know where they originated. It is a common misconception that bagels were invented in New York, and while this was the first North American state to adopt this food trend, the first documented bagel was in Europe. In 17th century Poland, bagels were a frequent part of everyday life. Immigrants from Poland and other parts of Eastern Europe brought bagels to other parts of the world – especially North America – in the 20th century when bagels were introduced. Immigrants – many of whom came through New York – brought this food to the land of opportunity and watched the bagel market flourish into one of the most successful enterprises in the economy. Today, bagels are an extremely popular breakfast staple for millions of Americans, as well as in other parts of the world. And along the way, they have created much diversity to the traditional bagel. 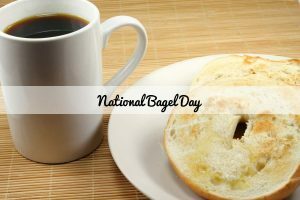 The Bagel Bakery, since it opened its doors in 2000, has primarily stuck with the traditional take on the bagel, but has also added fun and exciting creations such as Sun-Dried Tomato and Blueberry-flavored bagels and Honey Walnut and Spinach and Artichoke cream cheese. Stop by the Bagel Bakery today, and celebrate the rich history behind the bagel with us! February 14th of every year is a day when couples all across the Western Hemisphere rejoice in their love for one another a little more than usual. Valentine’s Day is usually celebrated over a box of chocolates and some roses, or jewelry or even a romantic dinner at a fancy restaurant. This year, surprise your partner and switch up your Valentine’s Day plans by including the Bagel Bakery in the mix. 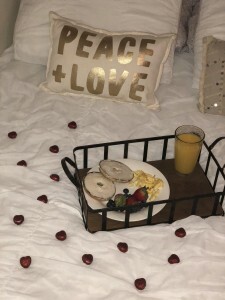 There is nothing more gratifying or romantic than waking up to breakfast in bed made by the Bagel Bakery and provided by the person you love. Stop by the store on Valentine’s Day and pick up a Bag O’ Bagels or your partner’s favorite Bagel Bakery order OR, if leaving your bed is not something you feel like doing, call Bite Squad to deliver the goodies right to your front door. Next, add fruits and other sides of your choice, pour a glass of your loved one’s favorite morning beverage, engage in a meaningful conversation and get ready to win the award for the greatest Valentine’s Day success ever! Let the Bagel Bakery help you bring back the true meaning of Valentine’s Day in your relationship! What’s dense with flavor, shaped like a ring and most enjoyed with good company? A bagel! 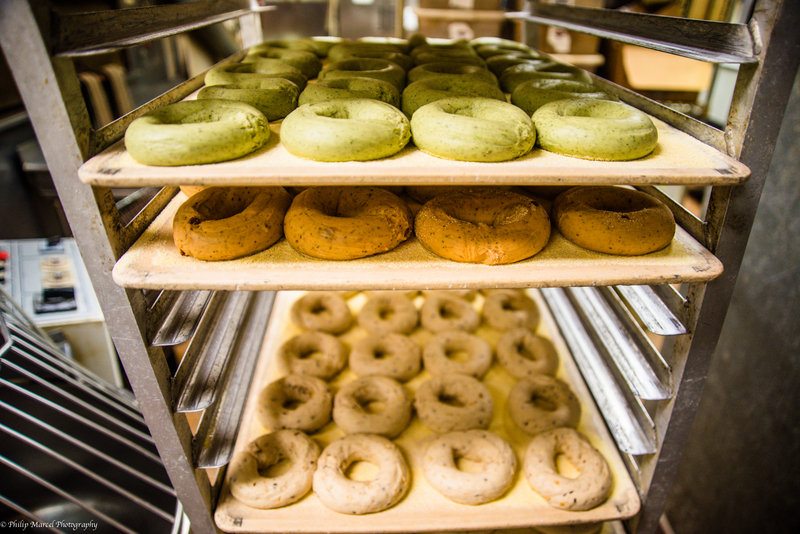 As you know, all of us at the Bagel Bakery love bagels… A LOT! We love how chewy bagels are, how soft they are, and how versatile and delicious and fun they are. This is why we love any chance we get to celebrate these classic treats, and why Feb. 9 is our favorite day of any year. Take your special someone out on a date at the Bagel Bakery. Order a Bag O’ Bagels with cream cheese and celebrate with your family, classmates or co-workers. Surprise a deserving someone with a warm and chewy Bagel Bakery bagel and tell him or her how much they mean to you. Stop by the Bagel Bakery by yourself during your lunch break and make friends with someone you have never met over one of our famous bagels… after all that is the power of a bagel, and the mission of the Bagel Bakery: bring people together who share a common love of bagels. This year, ditch the traditional Super Bowl snacks and serve your guests something new and exciting. Bagels from the Bagel Bakery can help you make Super Bowl party food that will leave your friends dying for more. Our favorite thing about bagels is that they are so versatile and can be used to make a variety of delicious treats. Here are just a few ideas that we know you and your guests will love! These are so easy to make, and are sure to please any crowd! Buy a Bag O Bagels from the Bagel Bakery (we suggest garlic, but any flavor will do! ), and cut each of them in half. 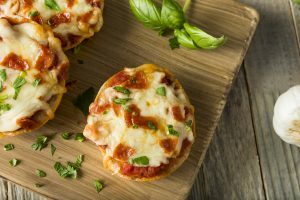 Then, spread your favorite pizza sauce all over the surface, top with cheese and any other toppings you choose and place them in the oven until the cheese is melted and the bagel is golden! WARNING: These bagel pizzas will go fast, so buy extra bagels and be prepared to make more! Serving tortilla chips at a Super Bowl party is so cliché. Surprise your guests with an exciting twist on this classic treat. For this recipe, we recommend using a mix of everything, sesame, plain, and onion bagels from the Bagel Bakery, but any combination will work! Once you have your bagels, slice them horizontally to make thinner bagel pieces, place them on a baking sheet, and bake them until golden and crispy. Break apart the chips into smaller, easier to eat pieces Pair your bagel chips with a mixture of our famous cream cheese and your favorite salsa, to make the ultimate party snack. Sandwiches at any party are a fan-favorite. Take it up a notch this year by using your favorite Bagel Bakery bagels instead of the traditional sub bread. Fill the bagel with your favorite lunchmeats, cheeses, and toppings, and cut into four slices to make smaller pieces to feed more guests. Each of these three recipes is fun, easy- to make, and sure to please all of your guests for this Super Bowl. Come by the Bagel Bakery today for lunch and to get everything you need to make these for the weekend!